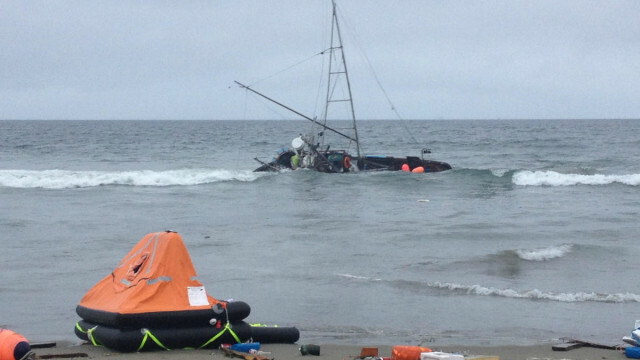 The 38 foot vessel Paloma washed ashore off Ocean Beach near San Francisco, California. The master of the vessel, Timothy Lybrand, had made a distress call earlier that the vessel had run aground onto the rocks just offshore. 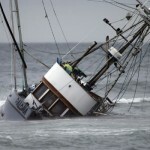 He stated he was going to abandon ship and swim ashore some 25 yards away. The Coast Guard dispatched air and sea rescue boats to the scene while nearby fishing vessels also searched for the missing man. Aided by the San Francisco Fire Department, the area around the Paloma was systematically searched. After 9 hours, the search was finally called off as no sign of the captain Lybrand could be found. 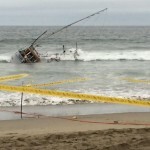 The Paloma ran ashore onto the beach partially sunk in 10 feet of water. Officials were able to safely remove the vessel’s two fuel tanks which had some 35 gallons of diesel fuel. Debris from the vessel has washed up on to the beach. The Coast Guard reports the cleanup coast will cost around $20,000. 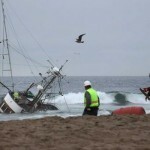 The Paloma has sustained significant damage and will scrapped on the beach. Authorities will pull the vessel above the high tide line and breakup the vessel so it can be carted to a nearby dump truck for removal. Estimates state this will cost another $98,000 to complete. Later reports stated Lybrand had warrants for his arrest for failure to appear in court in 2012. 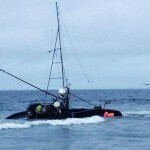 Police suspect the fisherman had not perished with his vessel but is in hiding somewhere in the San Francisco area. 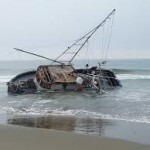 The 43-foot tug boat Richardson’s Bay was lost off the shores of Ocean Beach, San Francisco, California. 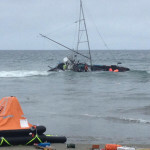 The tug had left for Pacifica to retrieve a lost skiff when vessel began to capsize. The crew was able to make a distress call to the Coast Guard before the 2 crewmen abandoned the tug. One man was able to grab a life ring while the other was able to reach an inflatable boat. The man in the life ring was later rescued by the Coast Guard. He was being treated for hypothermia and shock at a nearby hospital. The other man is still missing. The inflatable raft was discovered washed ashore, but no signs of the missing man. The Coast Guard called off the search the next day.